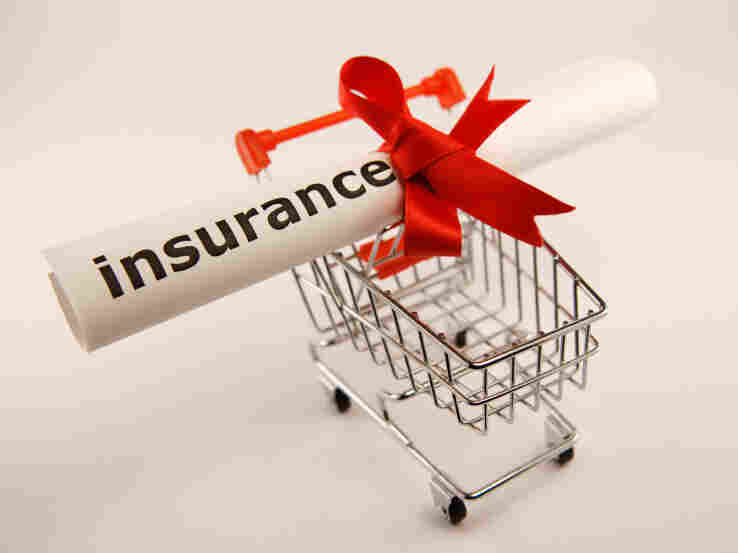 Insurance Brokers' Fees Won't Count As A Health Care Expense : Shots - Health News That decision, in one of the regulations for implementing the health overhaul, is sure to disappoint insurance agents, as you might have guessed. But it's more important than you might have imagined. The ruling makes it more likely that insurers will have to pay rebates to customers. The Obama administration ruled today that fees paid to health insurance brokers and agents won't count as medical care expenses, under limits imposed on insurers in the 2010 federal health law. That decision, in one of the regulations for implementing the health overhaul, is sure to disappoint insurance agents, as you might have guessed. But it's more important than you might have imagined. Here's why. Under the federal health law, insurers must spend at least 80 percent of the money they get through premiums on medical care and quality improvement. Of looked at another way, administrative costs can't exceed 20 percent. If they do, the insurers have to give rebates to consumers. For insurers of large groups, the target is 85 percent, or no more than 15 percent on administrative costs. Brokers had lobbied hard to have their fees included on the medical care side and not counted as administrative costs, which also includes such expenses as marketing and executive salaries. Brokers argued commissions would be cut and agents could lose their jobs, if the fees were counted as expenses. That would leave consumers without as much access to brokers, who help them choose health insurance. But consumer advocates fought the move, saying commissions are clearly administrative costs and removing them would make it easier for insurers to avoid paying the required rebates to consumers. Those rebates will go out next year to individuals and small-business policyholders whose insurers fail to hit spending targets this year. The rebates could come in the form of reduced premiums. "If your insurance company doesn't spend enough of your premium dollars on medical care or quality improvement this year, they'll have to give you rebates next year," said Marilyn Tavenner, who is on her first day as chief of the Centers for Medicare and Medicaid Services. "This will bring costs down and give insurance companies the incentive to focus on what matters for patients — high quality health care." Late last month, the National Association of Insurance Commissioners adopted a resolution urging Congress to amend the federal health law to exempt broker commissions from the tally, known as the "medical loss ratio." This followed an earlier effort, in July. But the NAIC vote was closely divided, and it had raised no objection to inclusion of broker commissions a year ago when the draft rule was first issued. Tim Jost, a law professor and a NAIC consumer advocate, says he is pleased that broker commissions remain in the administrative cost calculation. The overall requirement that insurers spend at least 80 percent of revenue on medical care "is a major benefit to consumers" and will help slow premium growth because "it will result in rebates from insurers who don't bring down premiums." The Department of Health and Human Services did agree to phase out rather than abruptly halt special allowances for the administrative expenses of so-called mini-med plans that offer limited benefits to individuals or small groups. Under an earlier rule, rebates to employers would have been taxable, so the final rule says any rebates given for group policies should be in the form of lower premiums or "in other ways that are not taxable." It will then be up to the employer or group policyholder to "ensure that the rebate is used for the benefit of subscribers." In addition, the rule requires insurers to provide notices of rebates not only to the employer, but also to the enrollees.